For Wayne this first time visit was a great surprise. Wayne: There was just so much going on. It’s a mechanical engineer’s dream. 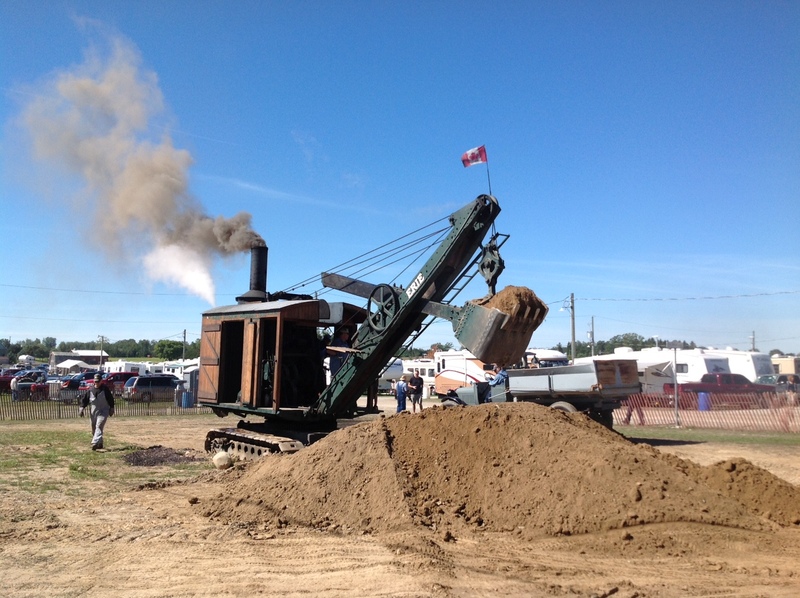 My highlight was the steam shovel – sort of like a fairy tale – with a man in the old engineer’s spot pulling the levers and the bucket magically goes up. Meanwhile in the back the stoker is filling the firebox, the machine is sending up a great plume of smoke that you can see from any place in the grounds. Karen is a repeat visitor. Karen: It’s been a few years since I last visited and I’m amazed at the increased organization and that it doesn’t change the homey feel. 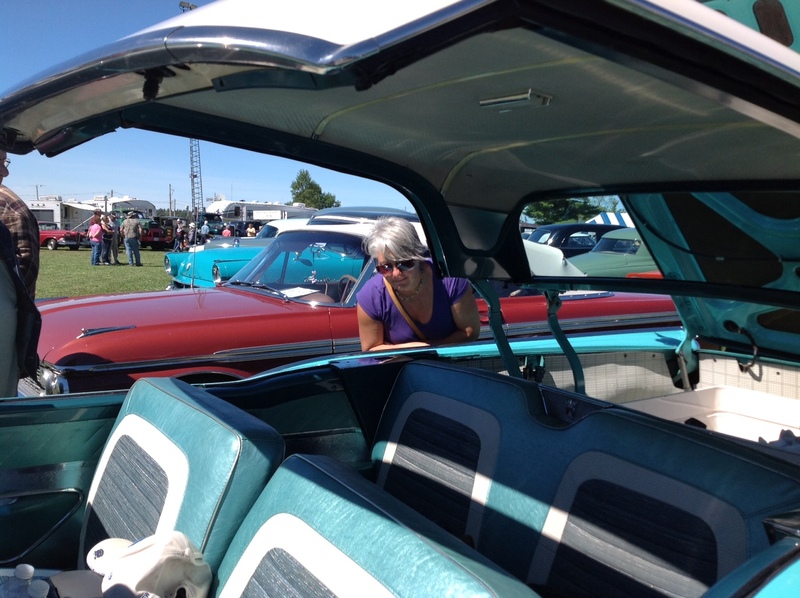 There was great camaraderie among the people – those with displays, the visitors, the vendors. And stories from the campers about the great music and the reunion atmosphere going on all week. It’s been going on for 52 years, so there are a lot of friendships made and kept up because of this event. 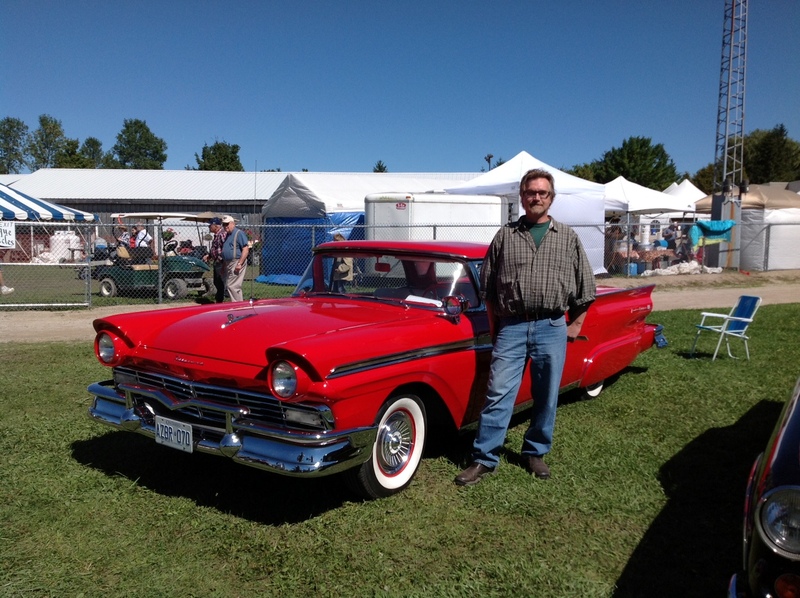 We enjoyed the classic cars, the tractor pull and watching children cheer for their grampa. Loved the interactive displays and demonstrations: farm animal tent, rope making, blacksmithing, miniatures. 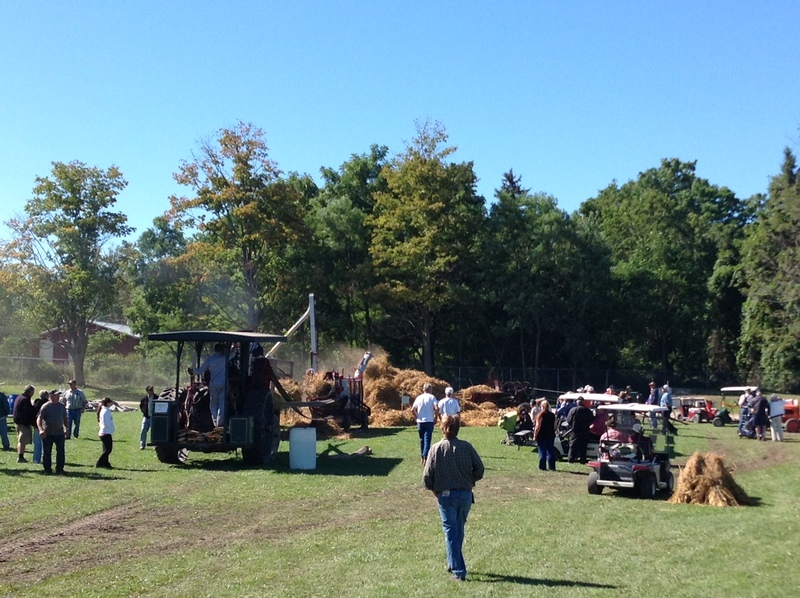 And just watching those great machines do their work threshing, cutting corn, shredding turnip. 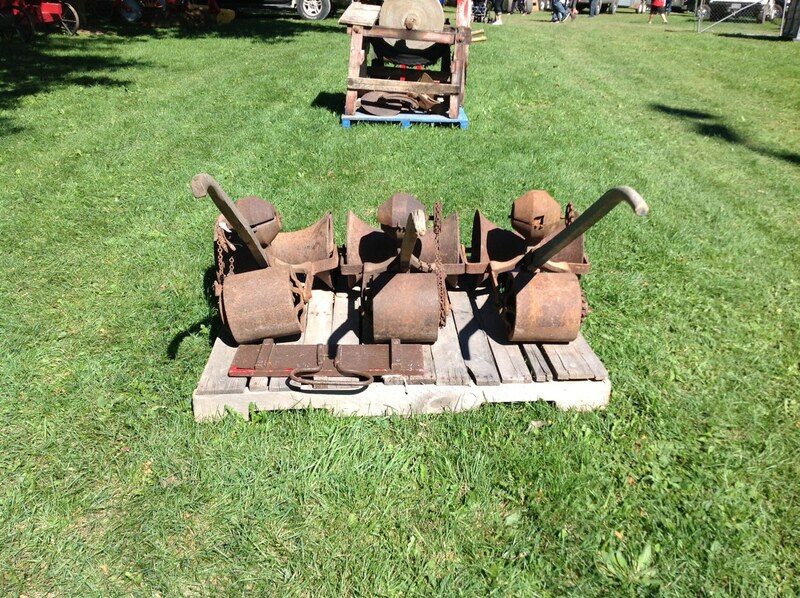 A special moment was when an older man answered my question about a seeder that I recognized but couldn’t name. He described how he and his father worked the turnip seeder. 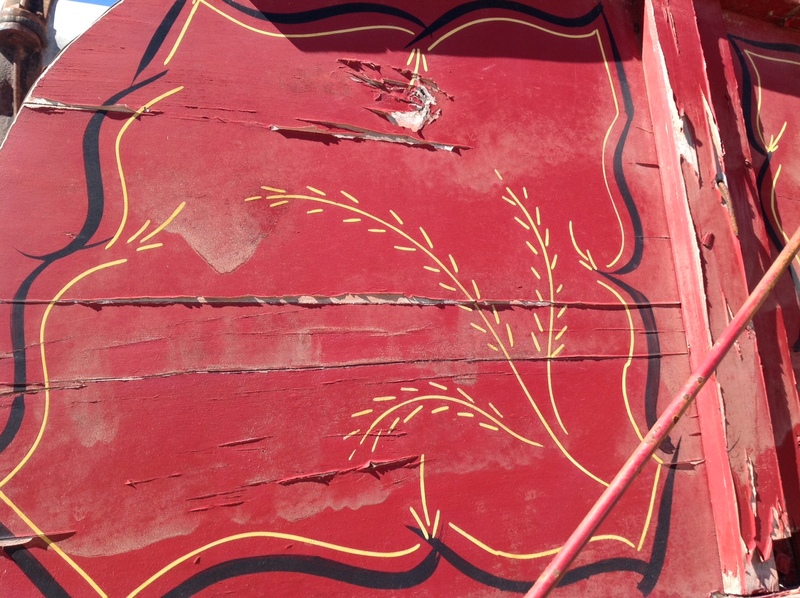 I thought about how much more rare this is – a first person account of using the old farming equipment. Wayne and I noted that it was sort of like being in a cartoon with these loud self-propelled, huge, old (and small), loud things popping up and tooting their whistles and puffing out smoke! A really grand day capped off with a swim in the lake. Love this country to coast lifestyle. 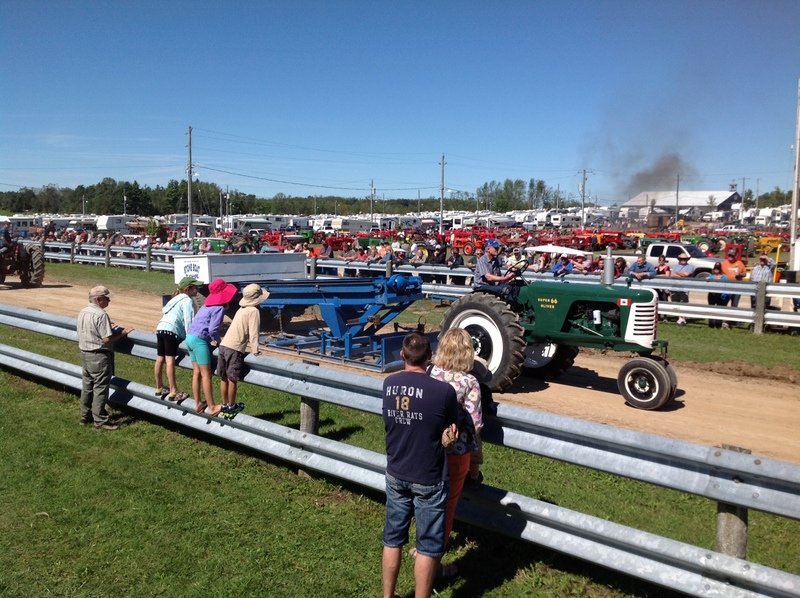 Co-ordinator Notes: Ray Hallahan, a representative from the Huron Pioneer Thresher and Hobby Association reported that attendance for the 52nd annual Steam Show was up slightly – that even the rain on Saturday couldn’t keep enthusiasts away! 750-800 trailers were on site for the three-day event, filling the trailer park with a few located in an overflow area. 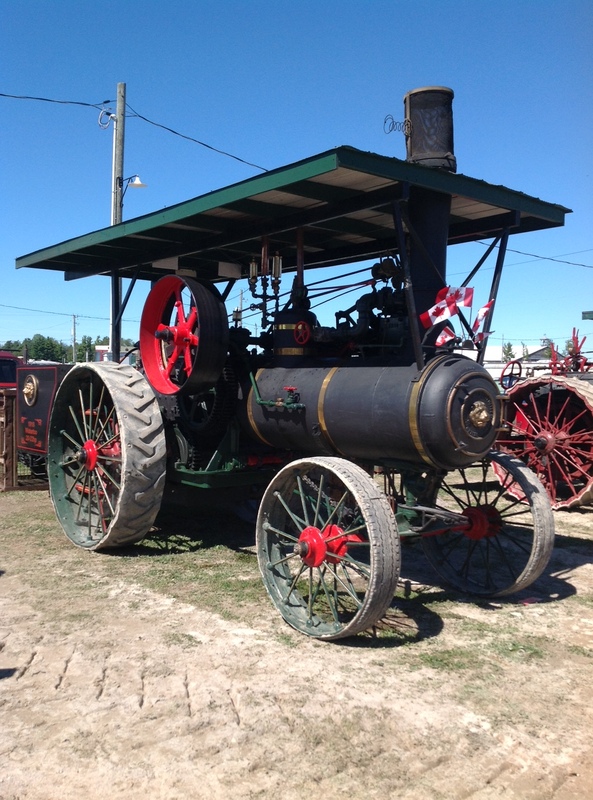 The Huron Pioneer Thresher and Hobby Associations annual reunion is held the weekend after Labour Day each September. Admission is $8 per person. Looks like a very wholesome event. Nice post!